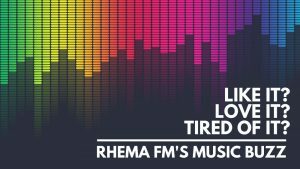 There are so many ways that you can support us here at Rhema FM Newcastle! Find out why we need your support and check out the different ways to get involved! Rhema FM is self-funded. We are primarily supported through tax deductible donations, making up 55% of our annual income. We appreciate every donation that is made to the station, which is securely processed through an online payment gateway on our website. You can also call us and we can take payment details over the phone. If you would like to support us in this monetary way, please click here! Membership is a financial commitment that you make to the station on an annual basis. All community stations are required to show the Government that they have community members willing to partner with them on a financial level. Membership costs $65 annually, with discounted concession and junior rates are available. As a member you will receive ‘the word for you today’ and our Rhema FM newsletter quarterly, get access to members only movie screenings and allow this radio ministry to continue to do its great work across the region. For $1 a day, you could help us significantly with our everyday costs. For the tax deductible amount of $31.00 monthly you could go the extra mile and partner with us in a way that will help us continue this radio ministry! Can you go the extra mile? Sign up here! There are tonnes of ways you can help us out practically at Rhema FM Newcastle! Born to be on radio? Come in for a voice test and see if you’re eligible to pick up a volunteer weekend air-shift!